This entry was posted in chauffeur drive tours of Ireland, Discover Ireland, Family gatherings & reunions in Ireland, luxury tours of Ireland, Tailor made tours of Ireland, tours of Ireland and tagged a luxury itinerary in Ireland, bespoke tours of Ireland, chauffeur drien tours of Ireland, customized tours of Ireland, discover Ireland, family gatherings in Ireland, family reunions in Ireland, luxury tours of Ireland on June 10, 2018 by Mary O'Grady. 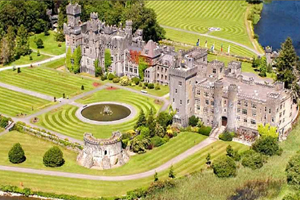 This entry was posted in chauffeur drive tours of Ireland, Discover Ireland, event management in Ireland, Family gatherings & reunions in Ireland, Holidays In Ireland, luxury tours of Ireland, luxury vacations in Ireland, PRIVATE TOURS of IRELAND, Tailor made tours of Ireland, tours of Ireland, vacations in Ireland and tagged chauffeur driven tours of Ireland, customized tours of Ireland, family gatherings in Ireland, luxury tour of ireland, private escorted tours, self-drive tours of Ireland, small group tours of Ireland, the Burren, the Wild Atlantic Way, vacations in Ireland on December 8, 2017 by Mary O'Grady. 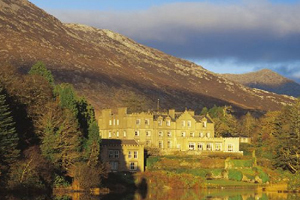 PRIVATE TOURS of IRELAND – large or small groups, family gatherings & reunions, cultural & garden tours, couples & individuals …. This entry was posted in Discover Ireland, Holidays In Ireland, PRIVATE TOURS of IRELAND, vacations in Ireland and tagged bespoke tours of Ireland, chauffeur driven tours of Ireland, customized tours of Ireland, family gatherings in Ireland, family vacations in Ireland, group tours of Ireland, luxury vacations in Ireland, private tours of Ireland on March 20, 2017 by Mary O'Grady. This entry was posted in Discover Ireland, Holidays In Ireland, PRIVATE TOURS of IRELAND, St. Patrick's Day in Ireland, vacations in Ireland and tagged chauffeur driven tours of Ireland, customized tours of Ireland, family reunions in Ireland, luxury tours of Irelad, small group tours of Ireland, vactions in Ireland, wild atlantic way tours on March 18, 2017 by Mary O'Grady. This entry was posted in Discover Ireland, Holidays In Ireland, PRIVATE TOURS of IRELAND, vacations in Ireland and tagged chauffeur driven tours of Ireland, customized tours of Ireland, discover Ireland, luxury tours of Ireland, private escorted tours of Ireland, private rentals in Ireland, the Ring of Kerry, the Wild Atlanntic Way, vacations in Ireland on January 17, 2017 by Mary O'Grady. This entry was posted in Holidays In Ireland and tagged Cliffs of Moher, customized tours of Ireland, family gatherings, family gatherings in Ireland, hotels in Ireland, private group tours of Ireland, the Wild Atlantic Way on September 5, 2016 by Mary O'Grady. 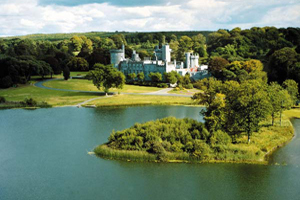 This entry was posted in Holidays In Ireland and tagged authentic Ireland, Blarney Caslte, Cliffs of Moher, customized tours of Ireland, escorted tour of Ireland, luxury Ireland, private tour of Ireland, tours of Ireland, trips to Ireland, Wild Atlantic Way on December 19, 2015 by Mary O'Grady. This entry was posted in Holidays In Ireland and tagged customized tours of Ireland, Kerry, private escorted tours of Ireland, the Clffs of Moher, the Wild Atlantic Way, tours of Ireland, vacations in Ireland on August 2, 2014 by Mary O'Grady.